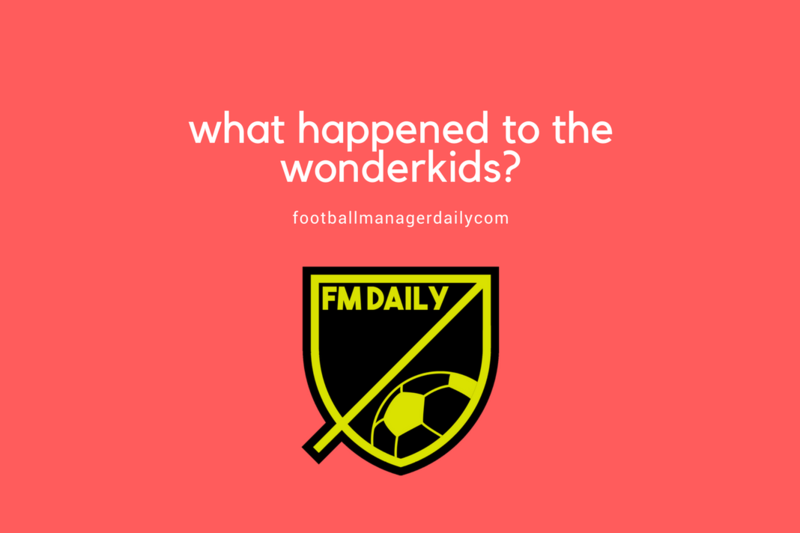 Home Guides Wonderkids 2010, Where Are They Now? It’s a winter Saturday morning 2009 when I’m sat at my laptop anticipating the completion and download of the latest version of Football Manager, a mere 8 days prior to Christmas. Yes, I’m aware the game was released in October, but I was also aware of a number of glitches that required patching before it was truly playable. 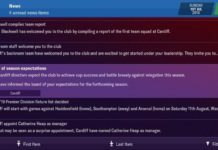 My time on this edition of the game would be spent “Making Arsenal Great Again”, by this point they had been trophyless for a whole five years and had the Gooners known that it would be another four before winning the FA Cup, I’m sure Wenger Out would have been synonymous with football fans long before the Summer of 2014. 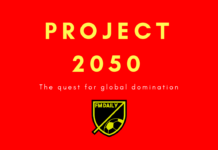 I start the game in June 2009, Wenger’s P45 has been served and I am sat in a still warm seat, little or no fanfare is afforded in the virtual world for a man credited with revolutionising the game. 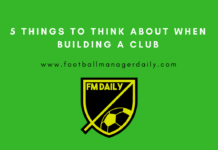 My first task is rebuilding the backroom after a mass exodus of staff, and there was no better an assistant manager in FM10 than Brian Eastick, Man City and England Coach. He along with a few coaches from Spain and Millwall of all places would make up a backroom team that would stay together until retirement. Next on the list was discovering the best available talent and the wonderkids of 2010, that were going to develop and carry my Arsenal team onto many successful Title and Cup runs. There were few in the team I deemed surplus to requirements, this, in all honesty, is a Hallmark of the late Wenger era, he always had great players, who played the best football, they just never quite got the results it deserved. The only noticeable area of contention, as in reality was the need for a tough tackling midfielder and a striker capable of scoring the plethora of chances handed to him, by an already creative midfield. Franco Zuculini fit the bill perfectly as the tough tackling South American, he really did take no prisoners and was an absolute bargain. A years loan (as he had only just signed) and a paultry £2m is all it took to pry him away from Hoffenheim. The Argentine was just 3 months shy of his 19th Birthday at the time and already built a fearsome reputation, gained from his time as a first-teamer at Racing Club the season before. Zuculini fit right in my midfield full of flair, surrounded by the likes of Fabregas, Rosicky and Robin Van Persie and would have an instant impact. Helping the defence to five straight clean sheets to start the season off, wins in The Champions League and FA Cup would follow, before burn out would see the young star sidelined for three weeks between December and January. A crucial time of year for English clubs, his absence was felt as I would struggle to beat teams by the narrowest margins, none more so than Chelsea. We played out a 5-3 Boxing Day Classic, in which Chelsea exploited my lack of cover for Zuculini and went storming ahead 2-0 at half-time. A quick tweak of the tactics at halftime worked at treat as Arsenal came out fighting, Fabregas with an early brace and Van Persie with what looked like the winner in the 80th minute, alas the lead would last just two minutes as Chelsea equalised in the 82nd. A last-minute substitute and roll of the dice, removing RVP for young prospect Carlos Vela for the last 5 minutes, it paid off spectacularly, with Vela scoring a brace in the 89th and 92nd minutes. Zuculini would return to the squad mid-way through January, where he would remain for the rest of the season, helping Arsenal to their first League Title in five years and later an FA Cup victory, completing a domestic double not achieved by Arsenal since 2001/02 season. The reality for Zuculini, like many of the wonderkids I’ve used over the years, hasn’t panned out the way it did in the virtual world. Although Zuculini would turn out for Arsenal, it wouldn’t be the Premier League high flyers under Wenger, it would be for Arsenal de Sarandi of his home nation Argentina. Zuculini time at Hoffenheim, much like on FM2010 started with a loan to Serie A side Genoa before returning to his former team Racing Club and finally a loan to Real Zaragoza in 2011/12 season came with a permanent move clause, which Real would enact. A three-year contract was cut short after his first full season ended in relegation, a knee injury later and one year on the sideline resulted in Arsenal Sarandi signing Franco on a six-month deal, before returning to Europe. Bologna in Italy Serie B would be Franco new home, his first full season would see a very successful return of three goals in 28 appearances and promotion to Serie A. Bologna would struggle the following year and hints of Zuculini finding his level in Football second tier were confirmed, after a 14th place finish with a Bologna side that would only win 11 times all year, Franco moved to relegated Hellas Verona in Serie B. He signed a one year deal with the option to extend if promoted and Franco duly delivered, helping Verona to 2nd place and an immediate return to Italy’s top flight. Franco is far from The Champions League winning midfield general of my Virtual Arsenal side, but it would be unfair to suggest he hasn’t at least justified his wonderkid status, even if he is yet to achieve his full potential, remember he’s now 28 and reaching prime playing years. It would be easy to forget too that Franco has played top flight football for 8/10 seasons, playing pivotal roles in the promotions of Bologna and Verona respectively. With Verona currently sitting 19th and confirmed as relegated again, we can expect to see a top season from Franco next year as he helps achieve promotion for the 3rd time. The one other thing that has been crucially missing from Arsenal sides over the years is a striker that cannot miss. Too often since the days of Henry and Bergkamp have Arsenal strikers been wasteful, needing several chances to score just once. The list is pretty long of strikers that have come and gone since. Chamakh, Baptista, Van Persie (bar that one season prior to leaving for United), Giroud, Eduardo, Gervinho and even cult hero Lord Bendtner failed to make the forward position their own. It was clear I needed to bring in an exceptional talent, a wonderkid cut from a different cloth. Capable of winning games on his own, grabbing the whole team by the scruff of the neck when required and dragging them towards victory. It just so happened that such a wonderkid existed on FM10, another baby face assassin born out of the slums of Brazil, and before I even say his name you’ll know his tag was completely justified and continues to be. His name is Neymar Jr. I bought Neymar from his hometown club Santos FC, I’d pay a bit more than I usually do for a wonderkid, but knowing that he was already producing in real life, I knew it would be worth it. All told I paid £10m plus a 20% sell on clause (which Santos would benefit from in the years to come) it proved to be a stroke of genius. Paired with a mean defence, Neymar was the sword to Zuculini shield, the creativity of Fabregas, Nasri and Van Persie (now in a #10 role) put it on a plate for Neymar 23 time in the Premier League in his debut season and another six in The FA Cup, one of them the winner in the final. Over the next seven seasons, Neymar would win the Premier League five times, The FA Cup twice, the League Cup three times and The Champions League twice. All told Neymar would lead Arsenal through their most successful period, scoring Hat-Tricks, match winners and delivering titles to the Gooner faithful. If it were not for a stellar bid of £105m (again accepted over my head) Neymar would have broken all kinds of records, in fact he was just 30 short of overtaking Henry as the clubs all-time top goalscorer. It would be hard for me to put into words how successful Neymar has been in reality, especially words that haven’t already been written. Now with PSG after a record-breaking transfer, in reality, Neymar is well positioned to win the Ballon d’Or, the ultimate confirmation of his wonderkid status in FM10.